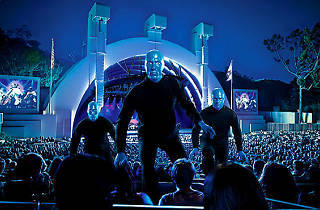 Photograph: Courtesy Blue Man Group Blue Man Group at the Hollywood Bowl. 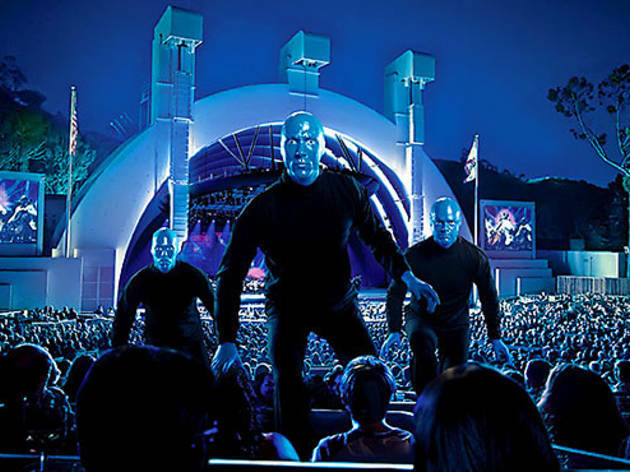 The Blue Man Group shows no signs of creative exhaustion, even after over 25 years of performances, and promises one of its biggest blowouts yet with two nights of industrial instruments and deadpan absurdity at the Hollywood Bowl. The humanoid trio premieres a brand new set—expect some new surprises if you've already gallivanted about Vegas' Monte Carlo—with a long list of collaborators, including some funky backing from the Brazilian band Monobloco. The ensemble paints the Bowl blue—literally, via video mapping projections—with accompaniment from the Hollywood Bowl Orchestra and a fireworks-filled grand finale.